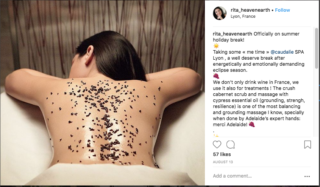 If Cleopatra could rationalise bathing in milk and honey – and since then baths have been filled with all sorts of different elements, from ground oatmeal to herbs and spices – we really shouldn’t be surprised at the idea of bathing in a bottle of Merlot – or in this case, Tinta Barocca. Enter vinotherapy, the latest in luxurious – but scientific – spa treatments. As it turns out, there are various benefits to immersing your body in the extracts of the vine, not the least of which is benefitting from its anti-aging and free-radical fighting effects. 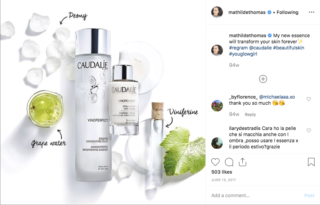 Mathilde Thomas – founder of cult skincare brand Caudalie – grew up on a wine farm in Bordeaux, France, called Chateaux Smith Haut Lafitte. 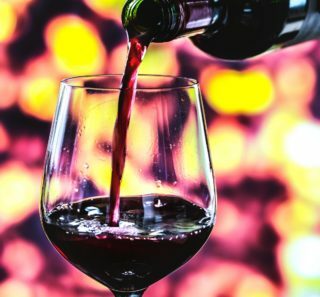 This is where the idea of using grapes as part of an anti-aging regime – as well as bathing in wine – has its roots. She loved the idea of using polyphenols contained within the grapes as part of skincare, as they have immense free-radical fighting properties. Moreover, polyphenols also protect the skin against oxidation and preserves the levels of hyaluronic acid. By making use of the various extracts of the vine, Thomas worked to develop the treatment known today as vinotherapy, where the grape pips, seeds and juice is used to exfoliate, cleanse and nourish the skin. Speaking to Cosmetic Business, she explained how she and her husband started a close collaboration with Dr Vercauteren with the aim of harnessing the anti-aging properties of the grape seeds. Head of the polyphenol group at the University of Pharmacy in Bordeux, Dr Vercauteren is responsible for revealing the antioxidant powers of grape seeds to Thomas. We spoke to Mimmie Lancaster, manager of the spa at Santé Wellness Retreat and Spa in Paarl, South Africa, in order to find out more about this treatment. Mimmie proudly mentions that Santé owns the trademark for vinotherapy in South Africa and that the Spa offers vinotherapy as a signature treatment to guests. The cosmetic company that supplies Santé with the grape & grape seed extract uses only grapes that are both pesticide- and chemical-free. This is a crucial element when it comes to vinotherapy, Mimmie explains, because the body absorbs certain trace elements. As such it is important to make use of only organic produce when performing the treatment. The treatment starts off with a crushed grapeseed extract blended into base which includes grapeseed oil. This is used to perform a body exfoliation in order to rid the skin of the build-up of dead cells, as well as to soften the skin. After being exfoliated in this manner, the skin is also more able to absorb active vitamins, minerals and trace elements. After the exfoliation, the guest enters into the bath, which is filled with freeze-dried grape skin, grape pulp and grapeseed extract, together with a bottle of Tinta Barroca wine from the owners’ farm – called Tranquility. For the next 20 minutes or so, the guest will relax, submerged in the bath, while the skin benefits from the high polyphenol content in the wine and extract. Polyphenols are known for their free radical fighting ability. After the bath therapy, the guest will get out of the bath and rinse off the wine in a warm shower – and then they will enjoy either a full-body massage, performed with grapeseed oil or a body wrap, where once again everything of the grape is used, along with essential oils. This is usually also followed by a massage. Before you ask this – as Mimmie admits many would-be guests often do – after this treatment, guests at the Santé Wellness Retreat & Spa are offered a glass of wine to accompany the treatment and is offered as part of their signature treatments. The food that guests will enjoy as part of the treatment is also prepared according to the principles of the concept behind vinotherapy, which is fighting free-radical damage and exposing the body only to wholesome, healthy, natural and in-season foods. Because this treatment works to fight the effects of oxidation, sun damage as well as aging, while promoting revitalised and nourished skin, those who wish to treat their skin to some serious pampering will most enjoy this. 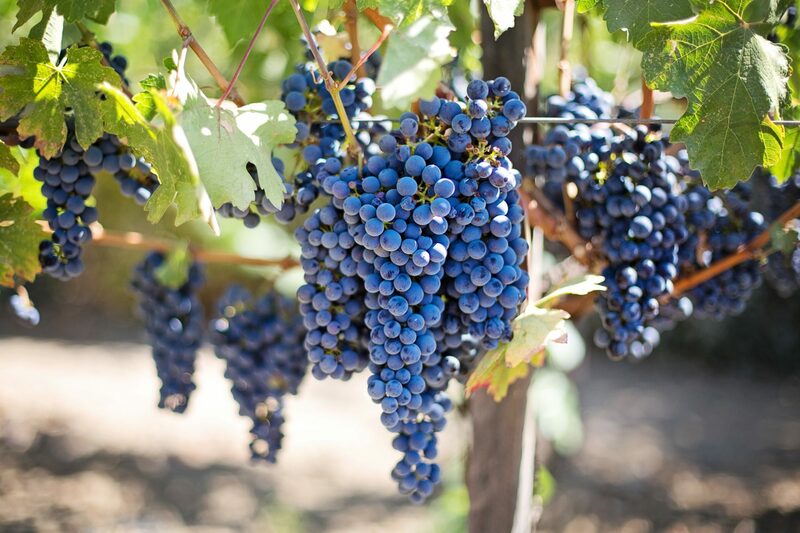 “Vinotherapy can help to treat skin that is very dry, has been damaged by the sun or is immune-compromised, as the components found in the grape, seeds and extracts thereof can assist with the healing, moisturising and nourishing of the skin,” she says. Branching out rapidly from its French roots, vinotherapy is now becoming more and more popular, so as well as being available at Santé Wellness Retreat & Spa in South Africa, is also available in countries such as Spain, California in the US and Australia. Click here to find out more about this. There’s nothing more satisfying than looking and feeling your best, with healthy, glowing skin to match. Our skin is our body’s largest organ. And yet, here is still so much we don’t know about it. Click here to discover 6 things you definitely did not know about your skin – and how to treat it properly.